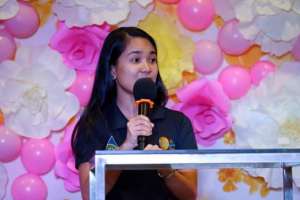 An Ambassador for The National Society of Health Coaches (NSHC), Precious May Puri, RN, CHC, shares her story of what personally motivated her to become an NSHC Certified Health Coach and to want to teach others through her own highly inspirational Jump Start program in health and wellness in her home country of the Philippines! “My best friend since high school died of colon cancer last year at 32, my good friend from primary school passed away two weeks ago due to aneurysm, and a colleague in the nursing profession passed away a few months ago also because of cancer.This is a sad reality in a world that brags of advance and sophisticated technology. I am an RN by profession and have been practicing as a telephonic Health Coach since 2012. I felt responsible seeing all these and the sufferings around me. I know I can contribute to helping our society promote health, and prevent and manage chronic diseases through the evidenced-based strategy that called Motivational Interviewing (MI) within a health Coaching context. As one of the pioneer Certified Health Coaches in the Philippines, I’m a proud ambassador of the National Society of Health Coaches in its advocacy to expand the knowledge and use of Motivational Interviewing among health care professionals, especially in my home country! Recently, Ms. Puri hosted thirteen (13) aspiring health coaches in a half-day event at Tiara Oriental Hotel, Makati, Philippines. The program started with prayer and a Zumba session with a Certified Zumba Instructor! It was a day full of fun and vision for the attendees who are advocates of personal health and who are searching for ways to engage patients/clients more actively in their own health care! 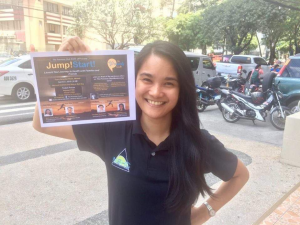 To continue with this advocacy, she is spearheading another health and wellness event this April 27 with the theme: Jump Start! Which Health Coaching Program is Right for Me? Copyright © 2019 Health Coaching Blog - National Society of Health Coaches (NSHC). All Rights Reserved.